This is not exactly a photo of vitality. 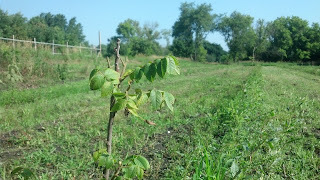 It is a photo of one of the Kentucky coffee trees that was planted this spring here on Arington Tree Farm. The reason for this saplings current sad state isn't a mystery to us. But, it is most definitely a learning experience. Gymnocladus dioicus, or by common name Kentucky coffee, is of the Fabaceae family. Fabaceae is more commonly known as a pea or legume. 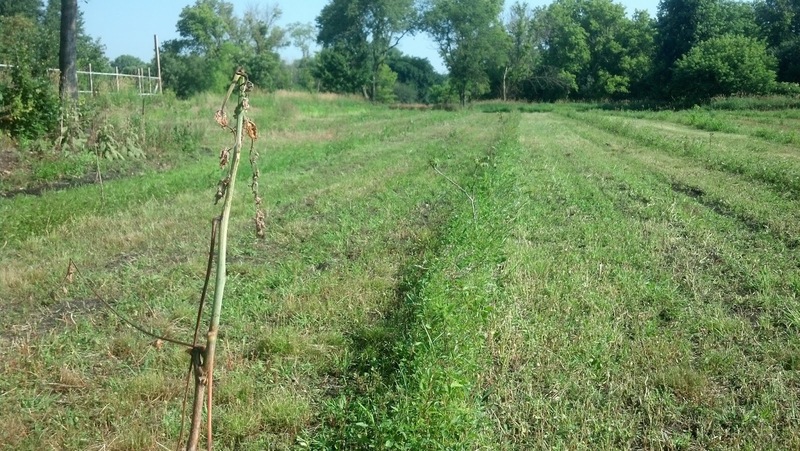 When we sprayed this particular new planting for Canada thistle control our chemical of choice, Transline (active ingredient clopyralid), killed our coffee trees. We have sprayed Transline over small trees before, but as this was our first time planting trees in the legume family, weren't aware of the reaction the chemical would have with the coffee trees. Other trees in the legume family that are found in our area include the Honey locust and Black locust. Be warned fellow Transline users! 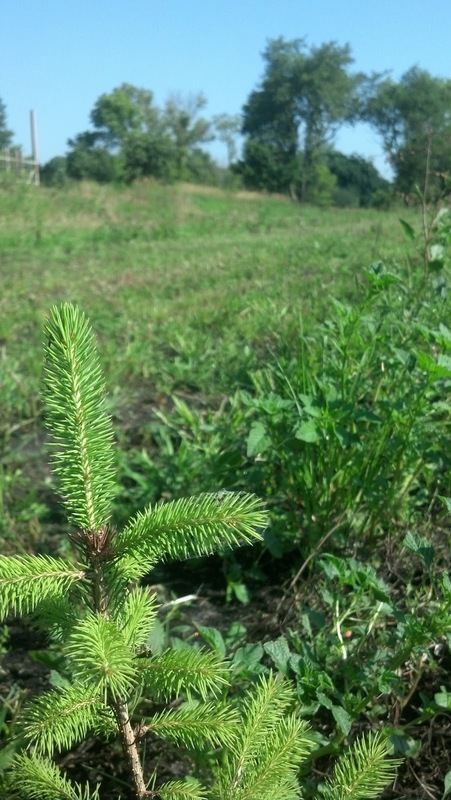 A planting approach that was solidified by this experience is the value of not planting monocultures, or more simply stated, not planting a single species. Many urban forest have historically been planted as monocultures. Terrace trees in early American cities were Elm, which succumbed to Dutch elm disease (DED). The urban tree that replaced the elm were ash. Ash trees are currently in the crosshairs of a shiny little bug called the Emerald ash borer (EAB). DED drastically changed the urban forest, most expect EAB to do the same. If our whole planting had been coffee tree, all of our trees (and labor/time spent planting!) would have been lost. For some happier news... this photo shows Black walnut success! This summer with the early rain, the walnut trees got a great start on sinking some roots in the ground. 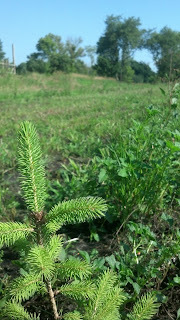 The White spruce that we planted to help train the hardwoods to grow up straight and tall are also doing wonderfully. How will we proceed with having lost a third of our trees in this stand? This next spring I will replant coffee trees and maybe an additional variety of hardwood to further increase this particular stand's diversity. Wow, this coffee tree is just super amazing and I can see how great effort you have put in this work. Keep it up and keep planting lol. Coffee and tea fields look so good. I always admire them and the countries which are rich with that. But of course if a grown plant or tree destroys then you end up with tears.